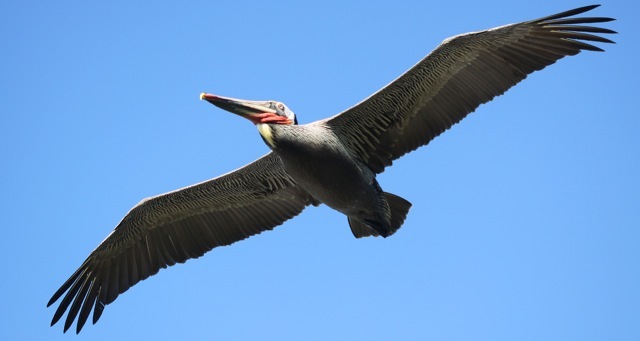 Nearly 400 bird species can be found in the San Francisco Bay Area. In the state of California, there are more than 600 species. North America has 2,000. Zooming all of the way out, the earth is home to over 10,000 bird species. Many bird enthusiasts focus their attention on local avian populations–but, of course, the term ‘local’ is relative. Mike Bergin is the founder of 10,000 Birds and his approach is global in scope. Anyway, we have a serious interest in photography to go with our interest in birds and bird identification. We’ve consequently amassed a rather large collection of photos, and rather than hide them away on our hard-drives we’ve decided that you may like to see them instead. Few people are this truly holistic in their endeavors, but technology is increasing the plausibility of such earth-wide projects. An earlier post on this blog featured two efforts that would make good company for 10,000 Birds: the Encyclopedia of Life and International Barcode of Life. The Encyclopedia of Life seeks to create a single database with organized and concise information about every life form on the planet. The International Barcode of Life champions an efficient method of identifying species through DNA sequencing. As massively parallel sequencing technologies become more available, the barcode library will enable sophisticated environmental monitoring that uses living organisms as integrators of environmental change and as early warnings of damage. Large-scale, automated monitoring of species presence and abundance in the world’s oceans, inland waters, agro-ecosystems, and plantations will soon be routine. Open collaboration and creative technologies provide opportunities for people to collectively analyze vast amounts of information, and through these efforts we get clearer glimpses of the big picture, the Big Here. 10,000 Birds is stitching their big picture out of a heck of a lot of smaller ones, and their glimpse of this beautiful hummingbird in Ecuador is lovely.